Peace and tranquility right outside your doors. from East Coast Landscape Design. Installing a water feature, like a fountain, a pond, or a water garden, can lead to unexpected pleasure in a home landscape. Accented by natural stone or hand crafted with stacked native rocks and boulders, a water feature can be a small fountain or more impressive, like a large pond filled with plants such as, water lilies, ornamental fish, swamp grasses and tiger cannas. 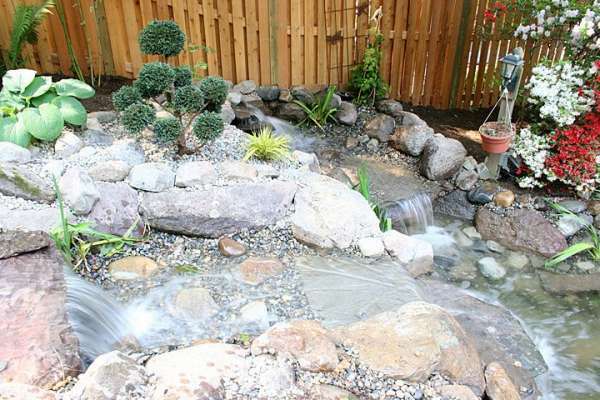 Adding a water feature to your yard, large or small, is easier than you think. The East Coast Landscape Design team utilizes 3 decades of experience along with safety- tested protocols to create natural water features in various types of landscapes. 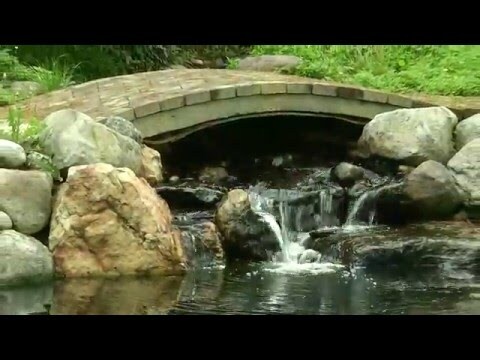 Think about low voltage lighting for safety and decorative accent to highlight the water and reflections of your pond. Whether you are seeking serenity or welcoming native birds and butterflies to your Maryland backyard, a water garden adds value on many levels.